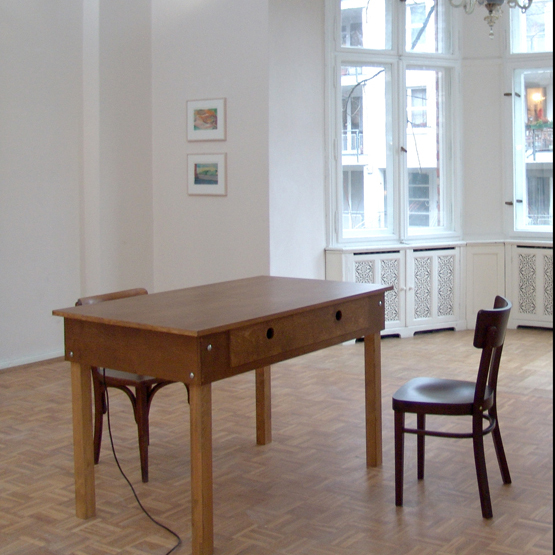 An everyday life musical instrument in shape of a table. Moments of touching the table top are being recorded and sonified by little bolds pounding continuously against everyday objects inside the table. These moments fade gradually until they eventually disappear from the table's memory and it quiets down again. The objects inside the table may be exchanged within drawers. 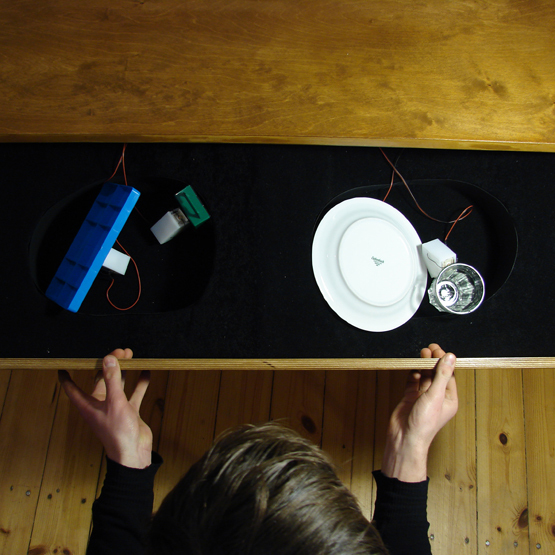 The table sonifies daily actions in a subjective way. 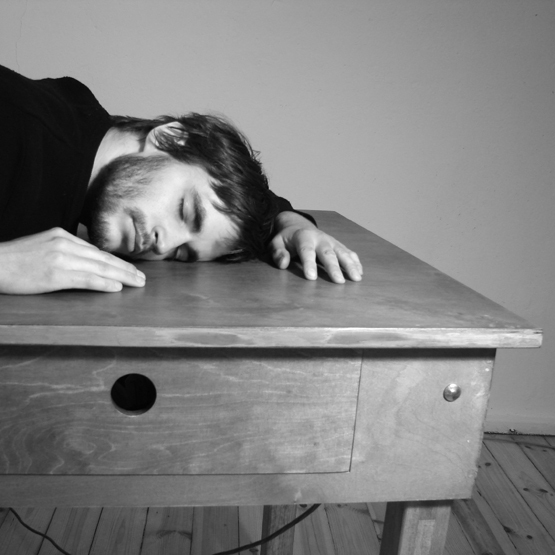 It raises consciousness of the use of the table and grows from passive to active participant of everyday life. It reinterprets the functioning of domestic objects inside the table by turning them into musical instruments and thus creates a playful, explorative situation.